Two Great Rabbis Agree: This Year is Especially Auspicious for Messiah - Breaking Israel News | Latest News. Biblical Perspective. Last Saturday night, Rabbi Shalom Berger, the spiritual leader of the Mishkoltz sect of Hassidic Orthodox Jews, paid a visit to Rabbi Chaim Kanievsky, one of the leading rabbis of this generation. A large crowd gathered to witness the auspicious meeting of these two great Torah authorities. Rabbi Berger brought a copy of his book on the section of the Talmud (Oral Law) dealing with Shabbat as a gift for Rabbi Kanievsky, who studied a few pages and encouraged him to write more books of this kind. 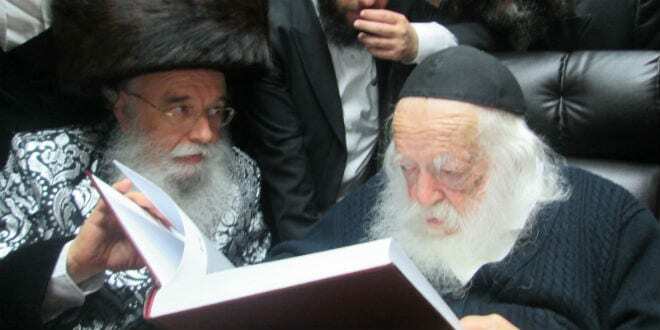 Breaking Israel News spoke to Rabbi Yosef Berger, the son of Mishkoltz Rabbi Shalom Berger and the rabbi of David’s Tomb in Jerusalem, about Rabbi Kanievsky’s declaration. Rabbi Yosef was by his father’s side when the two Torah greats spoke. Rabbi Berger asked Rabbi Kanievsky what must be done to prepare for the coming of the Messiah. 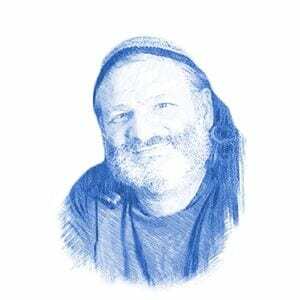 Rabbi Kanievsky gave an unexpectedly direct and simple response: Wait.